During startling evidence by eight witness from the three state banks (BoC, NSB and People’s Bank), before the PCoI it was revealed that former Finance Minister Ravi Karunanayake had asked state banks to bid at lower rates at two bond auctions with the assurance that other bids at higher rates would not be accepted. However, on both occasions at those auctions the CBSL had accepted bids much more than the advertised amount and at much higher rates. At the onset of the yesterday’s proceedings, the Commission summoned CEO and the General Manager of People’s Bank, Vasantha Kumar to testify before the Commission. At this moment, Senior State Counsel (SSC) Shaida Barrie who led the evidence, played before the Commission one of the deleted phone conversations between Arjun Aloysius and PTL CEO Kasuna Palisena which took place in the morning of March 29, 2016. On March 29, 2016 and March 31, 2016, the Central Bank of Sri Lanka had held two bond auctions to raise funds to the Government. The advertised amount at the March 29, 2016 auction was Rs. 40 billion and it had ultimately accepted Rs. 76 billion. The advertised amount of the March 31, 2016 auction was Rs. 25 billion and had accepted amount was Rs. 50 billion. In this phone conversation, Aloysius was instructing his CEO Palisena on how to bid at the March 29, 2016 auction referring to vital information he received from different sources. This conversation took place during mid-morning on the March 29 auction day. Aloysius in the conversation says that there was a “state banks meeting” that had taken place closer to that day. According to what happened at that meeting, Aloysius tells Palisena the rates at which the state banks (NSB, BoC, and People’s Bank) would bid at the March 29, 2016 auction. In the light of this “state banks meeting” revealed in the phone conversation, General Manager of People’s Bank, Vasantha Kumar started testifying yesterday before the Commission about this particular meeting. According to witness Mr. Kumar, there was a meeting called by the then Finance Minister Ravi Karunanayake on March 28, 2016 around 3.30 p.m. (day before the first auction) at the Finance Ministry. Mr. Ravi Karunanayake had summoned all the three state banks, National Savings Bank, Bank of Ceylon and People’s Bank to this meeting. The witness said Minister Karunanayake, Mr. Paskaralingam, representatives (including Chairmen) of the state banks, officials from the Treasury and several CBSL officials were present at this meeting. 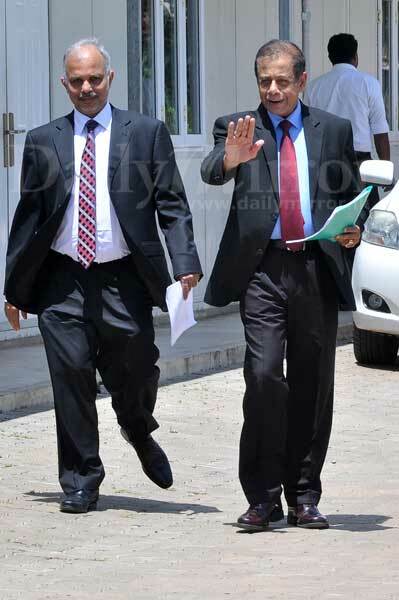 SSC Shaida Barrie: What did Ravi Karunanayake tell you at the meeting? Witness: He was of the view that the interest rate was very high at that time. He said with the intention of stabilizing the economy of the country the state banks have to support to get the interest rate down. He asked us to bid at a lower interest rate at the forthcoming (March 29, 2016) auction. SSC Shaida Barrie: Were you given exact yield rates at which you should bid? SSC Shaida Barrie: Was this range below the market prevailing rates at that time? SSC Shaida Barrie: Weren’t you concerned about this? W: Even though we were concerned about this, as state banks we had to support to bring down the interest rate. But we observed that they should not accept rates higher than what was given to the state banks at the auction. According to the witness, at the meeting, there was a discussion about a Rs. 40 billion fund requirement as advertised by the CBSL. The witness also said that there were several bonds about to mature on April 1, 2016 amounting Rs. 8 billion from the People’s Bank and the Minister wanted to re-invest them by bidding at the auction a volume of Rs, 8 billion. SSC Shaida Barrie: Did you have any doubt when you left that meeting? W: No. because Minister Ravi Karunanayake agreed that they would not accept bids at a higher rate than what was asked from the state banks at the auction. However, the witness afterwards had communicated what was discussed at the meeting to the Treasury Operations Department of the People’s Bank and had asked them to call the CBSL Public Debt Department and verify with them that they would not accept bids at higher rates. Accordingly an official at the Treasury Operations Department of the People’s Bank had called the Superintendent of PDD at that time Mr. Sarathchandra in the morning of March 29, 2016. This phone conversation was played before the Commission. In this phone recording it was reflected that the People’s Bank official was seeking an assurance from Mr. Sarathchandra on the lower rates. Subsequently, Mr. Sarathchandra says that he would convey the message to the Tender Board. When questioned, witness Mr. Kumar said that although there were occasions earlier where the Treasury had held discussions with the state banks to take the interest rate down, this was the first instance where state banks were directed to bid at a lower rate at the auctions by a Finance Minister. The witness also testified about another meeting which took place at the same venue (Finance Ministry) on March 30, 2016 (before the second auction day) chaired again by the then Finance Minister Ravi Karunanayake with the state banks in the presence Mr. Paskaralingam, officials of the Treasury and the CBSL. At this meeting two officials had represented the chairmen of BoC and the NSB. The witness was of the view that he could not recall the exact officials who represented the CBSL at both March 28 and March 30 meetings. According to the witness, Minister Ravi Karunanayake had again requested the state banks to bid at a lower rate at the forthcoming auction (March 31, 2016 auction). The witness said that Mr. Karunanayake had given the precise rates and the volume (Rs. 7.5 billion each for the three state banks) at which the state banks should bid at the auction. In this auction the advertised amount was Rs. 25 billion and afterwards Rs. 50 billion had been accepted. SSC Shaida Barrie: But what happened at the March 30, 2016 auction? W: The CBSL had accepted bids at higher rates than what was given us to bid by Ravi Karunanayake at the second meeting. He said that he also informed Mr. Paskaralingam about some of People’s Bank’s customers bids which were at a higher rate than what the People’s Bank had bid at mid-morning on March 31, 2016 auction day. According to the witness he had sent a text message to Mr. Paskaralingam reminding about this and not to accept bids at higher rate than what was asked to be done by the Minister. However Mr. Paskaralingam had not replied. When questioned by Justice Prasanna Jayawardena, it was revealed that there were 100 basis point discrepancies in the actual accepted rates at the two auctions than the rates what the state banks were asked to bid by Ravi Karunanayake at the two meetings. 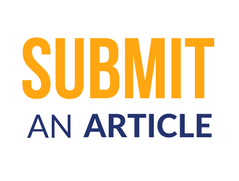 Justice Prasanna Jayawardena: Have you participated in similar meetings before? Justice Jayawardena: Was the interest rate high at that time? J: So, could it be a desirable action to bring the interest rate down? J: Did you expect that bids up to Rs. 77 billion would be accepted at higher rates at the first auction (March 29)? J: You again bid at a lower rate at the March 31, 2016 auction after the second meeting with the former Minister on March 30, 2016. W: We anyway needed to take the interest rate down because after the March 29, 2016 auction the higher interest rates were accepted. J: Even after the March 30 auction your expectations were not met on both occasions, right? ASG Dappula De Livera: After the March 29, 2016 meeting with Mr. Ravi Karunanayake, did you realize that his undertaking given to you was violated? The witness also said that there was an immediate opportunity loss calculation to the Bank due to the acceptance of bids at higher rates at the March 29 and 31 auctions. During the testimony, the witness also revealed that former Finance Minister Ravi Karunanayake had telephoned him somewhere in May 2016 and asked to recruit a person named ‘Haliyadda’ to the Treasury Operations Department of the People’s Bank. “Mr. Ravi Karunanayake asked me to take that person. I said there was no vacancy. He said to replace the lady who was working at that time. But I said it can’t be done because she was competent enough to work there”, said the witness. However, the witness had interviewed the person called ‘Haliyadda’ with a CV which was brought by ‘Haliyadda’, but did not recruit him. The CV was available as evidence before the Commission and at this point Justice Prasanna Jayawardena in a sarcastic manner quipped: “Some qualifications similar to what Saman Kumara (interdicted EPF dealer) has”. Thereafter, Chairman of People’s Bank Mr. Hemasiri Fernando also testified before the Commission with regard to the incidents relating to the two meetings at the Finance Ministry. He also described about the two meetings and confirmed that Mr. Ravi Karunanayake had asked the state banks to bid at a lower rate at auctions conducted on March 29 and 31on the undertaking that bids with higher rates would not be accepted. Nevertheless, at those auctions bids at higher rates had been accepted. During his testimony, Mr. Fernando said that Deputy Governor P. Samarasiri was present at one of the meetings (March 28 and 30) held at the Finance Ministry. However, Counsel Harsha Fernando who was appearing on behalf of Mr. Samarasiri contested the evidence and said that his client was not present at any such meeting. National Savings Bank’s Chairman Aswin de Silva also testified before the commission with regard to the “state banks meeting” which took place on March 28 and 30, 2016. He had attended the first state banks meeting (March 28) with his General Manager Mr. Dhammika Perera. According to his recollection, there were Dr. Samaratunge (Secretary to the Treasury) and Deputy Governor P. Samarasiri present at this meeting. However, he had not attended the second meeting (March30) and said that he had no recollection about the second meeting. Mr. Aswin de Silva too confirmed as to what happened at the first meeting. He also said that Mr. Ravi Karunanayake wanted the state banks to bid at lower rates at the forthcoming auction. The Commission also questioned the witness about the appointment of CBSL dealer to the NSB (Naveen Anuradha). The witness said that he requested the CBSL Governor in a letter seeking a competent individual to the NSB dealing room as there was a requirement to broaden the trading activities. He said he never asked a particular individual to the post. 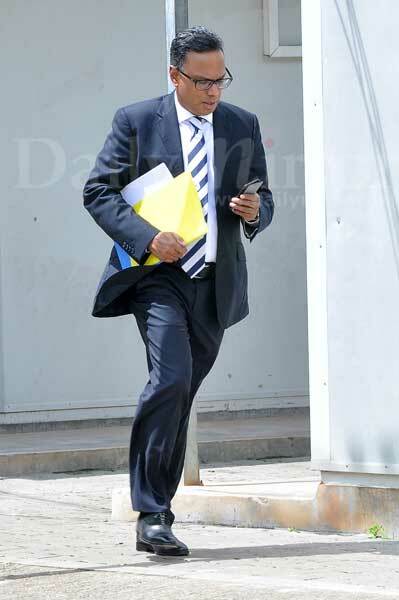 According to the witness, Deputy Governor Ananda Silva had replied him saying that an individual had been sent. When questioned about the recruitment (January, 2017) of the dealer named ‘Karunamurti’, the witness said that he only ratified the recruitment decision of the Bank as the Chairman. Consultant to the Treasury Operations Department of NSB, Mr. Lionel also testified before the Commission. 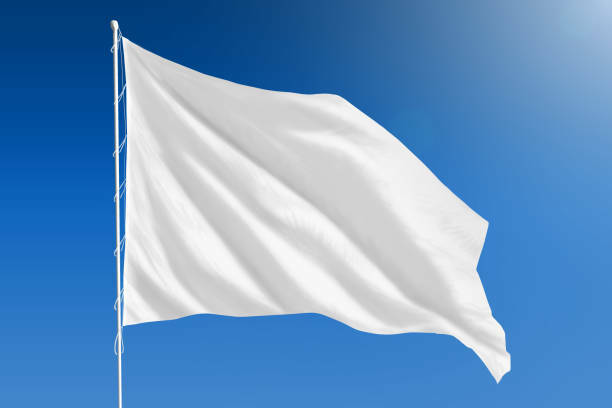 He testified that he did not attend the March 28 meeting but his General Manager Dhammika Perera conveyed the information as to what happened at the meeting. Then the second meeting he was present at the Finance Ministry representing the NSB on March 30 and confirmed that Mr. Ravi Karunanayake had told the state banks to bid at a lower rate providing the exact rates and volumes. Describing the appointment of Naveen Anuradha to the NSB, the witness said that there was a requirement for a dealer to the NSB as they wanted to expand the trading activities. Naveen Anuradha had been appointed to the NSB on February 1, 2015. The witness said that there was an experienced dealer called Abeysinghe who had been working at that time at the NSB, but Naveen Anuradha had been appointed directly as the Chief Dealer. ASG De Livera: Did he give you any advice? W: Yes he told me to inform him before I do deals. ASG: What did you tell then? W: I said I don’t care about you. I will do what I want. And I informed this immediately to the higher authority of the bank and told that I cannot work with him. W: My dealing capacity of Rs. 1 billion had been withdrawn and I could not deal thereafter. ASG: What did he talk with you in the dealing room. W: He had said that he (Naveen Anuradha) has relationships with Mr. Ravi Karunanayake. 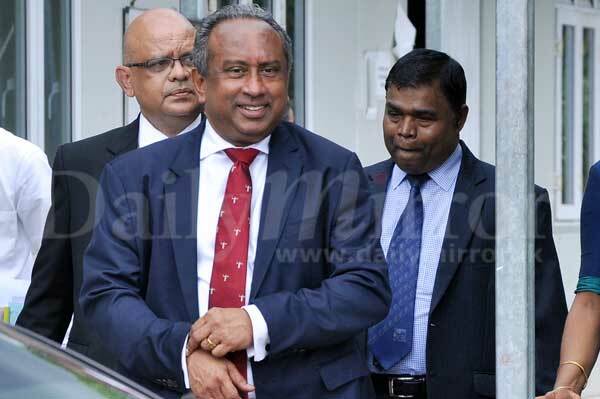 When Justice Prasanna Jayawardena asked as to what Naveen Anuradha was doing in the dealing activities at the NSB, the witness said that Naveen Anuradha had increased the volume of trading with Perpetual Treasuries Ltd, Pan Asia Bank and Acuity Securities. Justice Prasanna Jayawardena: Did those activities of Naveen Anuradha result in NSB gaining more profits compared to other times? W: No the profits were the same. 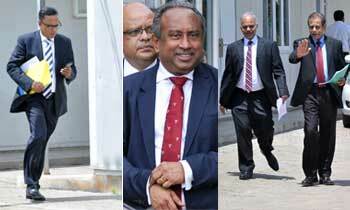 Bank of Ceylon Chairman (BoC), Roland Perera thereafter testified before the Commission. He said that he attended the March 28, 2016 state banks meeting and did not attended the second meeting on March 30, but subsequently got to know about it. He confirmed that the state banks were asked to bid at lower rates to bring down the interest rate. The witness said that his understanding from the meeting was that higher rates would not be accepted at the auction. He also said that he did not communicate what was discussed at the meeting to anybody as they were price sensitive information. BOC Assistant General Manager, Shantha Kumara also testified before the Commission. According to the witness, it was revealed that the information relating to what was discussed at the first meeting was communicated to the BoC dealing room on March 29th morning from the Chairman who participated at the March 28 meeting. By that time BoC had already placed their bids at a higher rate. However, thereafter, BoC had amended the bids replacing bids at lower rates. The witness explained that there was an opportunity loss to the bank as these bids were not placed at the two auctions independently by the Bank. Retired Deputy General Manager of BoC, Mr. Jayasooriya also testifying confirmed that it was he who represented the chairman of BoC at the second state banks meeting held on March 30. He again ascertained that on this second state bank meeting, the rates and volumes had been given to bid at the March 31 auction. Justice Prasanna Jayawardena: The yield rates given to you were lower than market rates, right? Justice Jayawardena: Does BoC normally engage in such action? J: But you decided, why? W: Because at that meeting there was an undertaking that higher rates would not be accepted at the auction. Mr. Vasantha Kumar also voiced his concerns about this at the second meeting that the undertaking given in the previous meeting had been violated. At that moment they said that it won’t happen on this occasion. ASG Dappula De Livera: Who told you that? ASG: Who is the Minister? ASG: But what happened after the auction? W: Higher rates had been accepted at the auction. ASG: So, the undertaking given by the then Minister Ravi Karunanayake at the meeting had been violated, right? W: Yes, that undertaking was violated. It was also revealed that both the Commission and the Attorney Genral’s Department officials had officially and personally informed President’s Counsel Rienzy Arsekularatne, who was appearing for Mr. Ravi Karunanayake to attend yesterday’s proceedings, but there were no appearance marked for the former Minister at the Commission. The Presidential Commission of Inquiry (PCoI) comprising Justice K.T. Chitrasiri (Chairman), Justice Prsanna Jayawardena and retired Deputy Auditor General Velupillai Kandasamy, will meet again at 10 am on Friday. "MORAL SUASION" -is a persuasion tactic used by an authority (i.e. Central Bank of Srilanka) to influence and pressure, but not force, banks into adhering to policy. Tactics used are closed-door meetings with bank directors, increased severity of inspections, appeals to community spirit, or vague threats. Ordinary officer who got a bribe of Rs.190,000 was sentenced to 10 years rigorous imprisonment. But no admission permitted to prison hospital. Luxury type prison hospital is kept ready for bond thieves.